Caffè del Doge Rialto is named after the magically beautiful bridge in Venice. 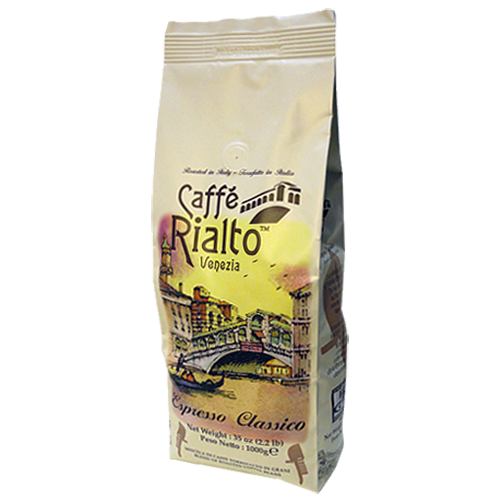 Rialto is a Venetian espresso coffee with a balanced sweetness and acidity and a soft nutty taste. The mixture is a medium roasted coffee made ​​up of washed Arabica from Brazil, Ethiopia and Colombia mixed with washed rubusta from Karnataka in Inden. Caffè del Doge Rialto is a lovely coffee with a balanced character and with an aftertaste of almond and chocolate.